The Bonney Lake Gentle Dental office is conveniently located on State Route 410, west of the 214th Avenue East intersection. The office shares a parking lot with Safeway. Our office is open throughout the workweek, with Saturday hours available by appointment. We accept most dental insurance and help patients secure no-interest financing for procedures not covered under their plans. For patients without insurance, the Gentle Dental Smile Plan offers low-cost preventive and diagnostic care with discounted rates of 20 percent or more on almost all dental treatments. Our friendly, professional dental staff combine compassion and a relaxed environment with high-quality dental care. We offer family dentistry to patients of all ages, including infants and children, as well as endodontics, periodontics, oral surgery, and emergency treatment. Schedule an appointment with our cosmetic dentistry team to see which treatments can improve the appearance of your smile. Our mission is to build lifelong relationships with patients through compassionate, respectful, and affordable dental care. Our dental staff will make your appointment as stress-free as possible, while explaining all treatments so you can make informed decisions about your dental care. Stop in to see us at our office on State Route 410. To set up an appointment or for further assistance, please call us at 253-235-3949. One of our friendly staff members will be happy to speak with you. Dr. Javadi received her Dental Degree from the Qazvin University of Medical Sciences and her M.S.D. in Periodontics from the Loma Linda University School of Dentistry. She’s a member of the American Academy of Periodontology and the Washington State Society of Periodontists. She also speaks Farsi. Dr. Duong says, “The most enjoyable part of my profession is helping to educate and promote healthy oral care. I want to help my patients achieve the smile that they have always wanted, be pain free and have great oral health.” Dr. Duong aims to create a welcoming and comforting environment by treating each of her patients like family. After graduating from Pacific Lutheran University, Dr. Duong received her Dental Degree from the Temple University School of Dentistry. To keep up with evolving technology, she’s a member of the American Dental Association and the Washington State Dental Association. I’m terrified of the dentist which is why my teeth were so bad. I was having severe pain and knew I had to get in. The staff was amazing! I had an exam, root canal, cleaning and two really bad cavities fixed with minimal issues. Thank you guys for everything!!! Love you !!! I’m so happy !!! Svetlana Muna, we're glad to hear you enjoyed your visit. Everyone was great. Made it easier and comfortable than I thought..
Hi Ralph Baker, we are very happy to have provided you with such a positive experience! I very much enjoy going in for my cleanings the staff Especially Michelle are fantastic and such hard working! I can go on and on about how much they care about me and my family! Have a great day everyone! And remember Oral health is important! Rosalinda E. Hallagin, we strive for 100% satisfaction, and it is great to see you had such a positive experience at Gentle Dental Bonney Lake. I have to say after 15 years of not going to a dentist and trying to avoid one I am so glad I chose to go to Gental Dental in Bonney Lake. The most amazing experience I have ever had at a dentist as previous dentists have caused me so much pain and stress along with bad work. 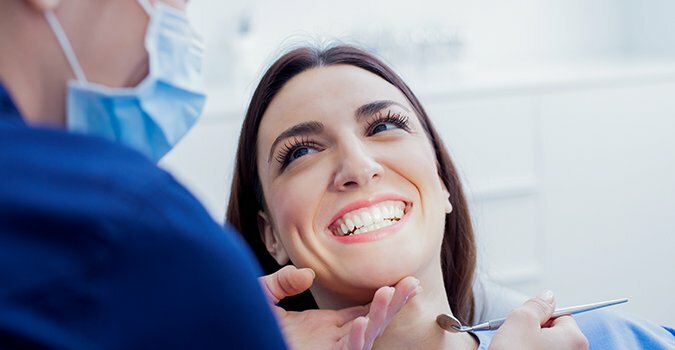 After having a filling fallout and the tooth break due to the filling failed apparently a long while back, I found myself in amazing care by Doctor Duong. She informed me of the level of work needed to be done on the Friday after thanksgiving and was able to perform the work right then and there. Ended up needing a root canal on a moller that the cavity was found to have gone into the 4 roots. She was able to perform the whole root canal right then and there, she made the experience amazing along with her assistant Jennifer and they made me feel like a friend. ABSOLUTELY NO PAIN or discomfort the whole time, even the numbing was painless. I am staying with her as long as my teeth need her help. The next few days still no pain or discomfort not even that night. She is AMAZING!!!!! Thank you Doctor Duong, can’t wait to finish the work and get me back into an oral routine with you and your team. Dear Bryan Sparkes, Thank you for the delightful feedback. At the Gentle Dental Bonney Lake, we are glad that the team has put you at ease and taken great care of you during your visit. Your review means a lot to us and we look forward to seeing you at your next visit. Super nice and friendly staff. Dr Andrew Higgins is a great dentist. Super nice! Highly recommend this place! Mark N Kristen Ruder, we are so pleased you enjoyed your visit to Gentle Dental Bonney Lake! Dr. Duong was absolutely the best dentist I've had ever. Definitely recommend this gentle dental to everyone. If I ever arrived early to my appointment, they would literally have me back in the chair in minutes. I never had to wait past my appointment time and they always alerted me of my appointments! Which is great because I tend to be forgetful. These girls were amazing! Dear Cody Ray Pitts, Thank you for taking the time to post your kind words about our staff. We are excited to share this with the team. At, Gentle Dental Bonney Lake, it means a lot to us to know you had a great experience and we look forward to seeing you on your next visit. I have a fear of going to the dentist, the staff here is remarkable, and Dr Duong was amazing!! They walked me through ea h step, and out my mind at ease. Didn't feel a thing. I have never been so happy after a dentist visit! Dear Bobbi Hutchison, Thank you for taking the time to post your kind words about our staff. We are excited to share this with the team. At, Gentle Dental Bonney Lake, it means a lot to us to know you had a great experience and we look forward to seeing you on your next visit. I have had great experiences as a patient of Dr. Duong. She is very professional, personable and kind. I always walk out of the office with a smile. I have had a few minor issues with insurance billing in the past (due to insurance changes) but the overall experience and kindness of staff make up for those shortcomings. I recommend this dentist and location. Dear David Allan, Thank you for taking the time to post your kind words about our staff. We are excited to share this with the team. At, Gentle Dental Bonney Lake, it means a lot to us to know you had a great experience and we look forward to seeing you on your next visit.